Yes, this is a different type of post. Sometimes my work writing overlaps enough with my personal blog to post in both places. So this has no connection to many things I love, such as family, community, and travel. It does have everything to do with my love of technology. With apologies to any Marines, the question around this post is whether Project Fi is ready for commitment. For those unaware, Semper Fi stands for Semper Fidelis, latin for “always faithful.” You may recognize it as the Marine Corp motto. For those even more unaware, Project Fi is Google’s attempt at creating a way to access mobile voice and data outside of the tradition carriers such as AT&T and Verizon by creating its own “carrier,” traditionally described as an MVNO (Mobile Virtual Network Operator). Unlike MVNOs of the past that only supported one carrier or other carriers such as T-Mobile trying to blend WiFi and cellular, Google is trying to blend service from Sprint, T-Mobile, and WiFi into a seamless experience. They are rolling it out very slowly, but I was lucky to get an early invite. I’ve been using it in parallel with my AT&T phone over the last few weeks to measure performance and reliability across Nashville’s tricky-for-wireless-signals topography. To begin, let us look at the unboxing. Google, like many other companies, is striving to meet the challenge created by Apple’s obsession with packaging. The box is quite beautiful, but the embossed lettering is extremely difficult to read. 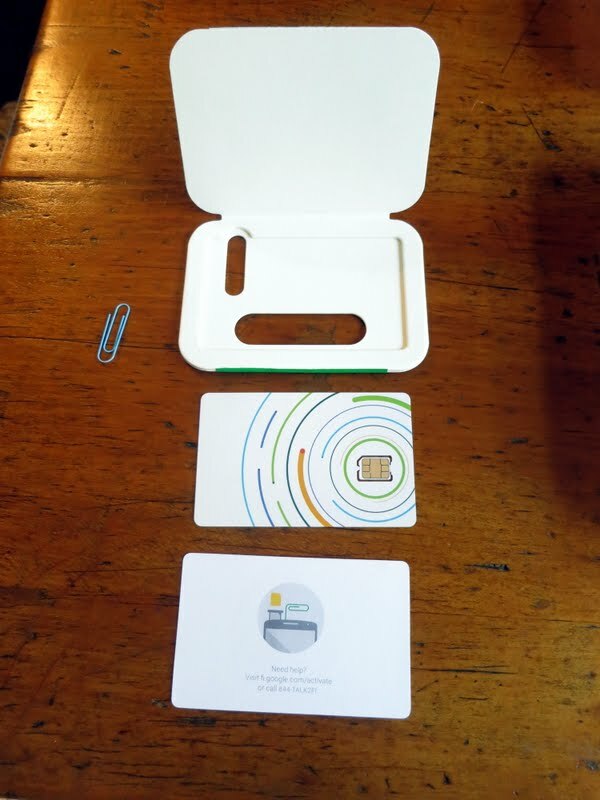 The smaller package contains the special SIM card for Project Fi, and upon opening it has this irritating paper clip holding a how-to piece of paper to the plastic card that contains the SIM. My perspective on the paper clip quickly changed when I had to install the SIM card in my phone. What did I need to open the SIM port? I’ll let you guess. Opening up the big box involved more suspense. 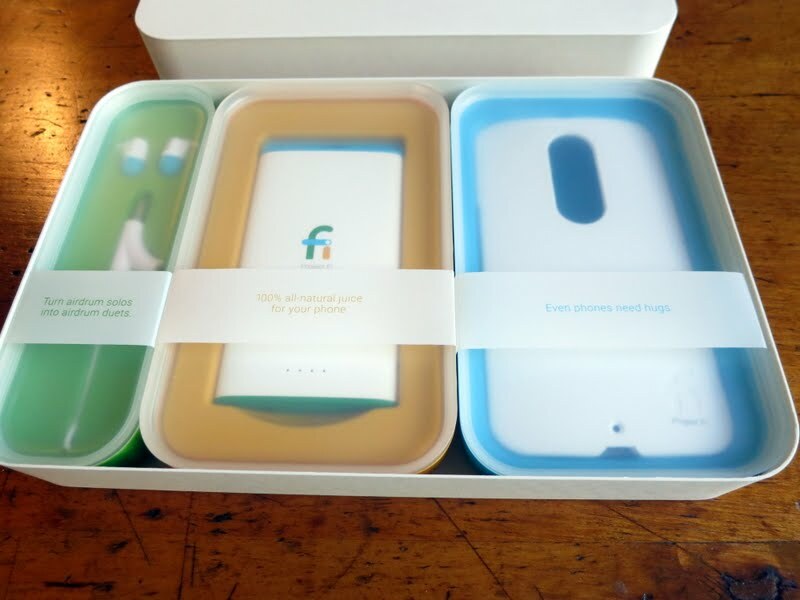 At launch, Project Fi only supports the Nexus 6. Since this was only a test for me, I chose to buy a used one instead of purchasing a new one from Google. So why did they ship me this big box? And what could be in it? In one word: swag. But good swag! A decent set of earbuds, a 6000mAh battery, and a nice case. 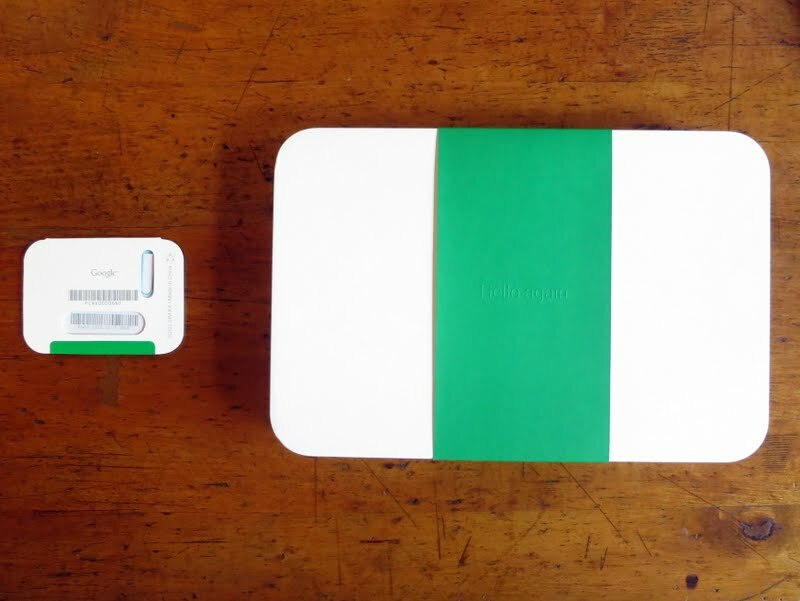 All of it is completely irrelevant to using Project Fi, but the box is a nice quality touch that endears the user immediately. According to internet chatter, the intro boxes are not always shipping on time and the rumor is that these will stop at some point. This is a shame, because what followed next needed some serious goodwill. I want to avoid a long and dull description of what it took to get the phone, SIM, and Project Fi running, so the summary is that it was painful1. If it was a problem for me, someone who is technically competent and relatively patient with glitches, I can’t imagine what it would be like for other less tech savvy customers. Some of it may have been my fault for not reading instructions, and some of it may have been the used phone, but if it takes two system updates and two restarts as a normal procedure, Project Fi is dead. However, since they are dealing with new firmware, software, and SIM technology, it will likely take a while before the on-boarding procedure is as easy as dropping in a new SIM. The last item to discuss is the impact Project Fi will have on your Google Voice number. I’ve had a Google Voice number since the first month they were offered. It is essentially a VOIP number that can be used in Hangouts or forwarded to another number. I use it as a work number that will still ring my personal phone, giving me a pseudo dual-SIM setup on a regular phone. It has been indispensable when dealing with business people who I do not want them to have my personal number. The only downside is the confusion when I respond to them, inadvertently, with my personal number. Texting with my Google Voice number requires me to use the Google Voice app, so it is not part of my normal workflow. Project Fi uses much of the Google Voice infrastructure for messaging, voice mail, and hangouts, which is good but also forces a choice between two options when you adopt Project Fi. Option 1: Port your existing phone number over and it will replace your current Google Voice number, returning that number to the Google Voice pool for other users to claim. Option 2: Keep your current Google Voice number as the Project Fi number. End your current carrier contract and lose that number. For me, both options will cause pain. For option 1, I will lose my backup number that is also part of my business identity, printed on business cards and listed in my email signatures, forcing me to use my personal number for everything. Option 2 is even more repugnant, as I am unwilling to give up my personal number that I have had for sixteen years. There is another way to manage this, but I found out too late: create another Google account for your Project Fi invite. That way you can keep your existing GV number and use your personal number for Project Fi, with the added expense of managing yet another Google account. So if Project Fi passes functionality tests in the next few weeks to prove its faithfulness, I will be faced with a painful decision. Stay tuned for Part 2!